In recent years, photovoltaic solar energy has increased exponentially, becoming a key technology in the energy matrix of different countries, including Mexico. Meanwhile, solar thermal energy continues its development to excel. Worldwide, photovoltaic solar energy counted, in 2017, with an installed capacity of 385,674 MW as reported by the International Renewable Energy Agency (Irena) Annual Report. In addition, given its efficiency and constant cost drop, it is expected to continue leading the growth in renewable energy with a 575 GW addition in the period 2018-2023 according to the International Energy Agency (IEA). Regarding solar thermal energy, taking as reference the studies cited in the preceding paragraph, the installed capacity has gone from 535 MW in 2008 to 4,951 MW in 2017. A 33 % of the worldwide capacity has been carried out by Abengoa, totaling an installed capacity of 1.6 GW. As for countries, Spain accounts for 46.5 %, followed by the United States with a 35.5 % share. However, these countries are not expected to add additional capacity to the grid in the short-term, so future solar thermal growth will be concentrated in Asia and Africa. “Solar thermal capacity installed worldwide is 4.95 GW, being Abengoa responsible for a 33% of the installed capacity, totaling 1.6 GW. In particular, it highlights the bet made by China, which aims to reach 27.6 GW installed in 2030. The success in the implementation of the Chinese plans will be decisive to create a domino effect on the rest of the world. Regarding Mexico (and also Latin America until the future entry into operation of Cerro Dominador in Chile), there is only one solar thermal field working. 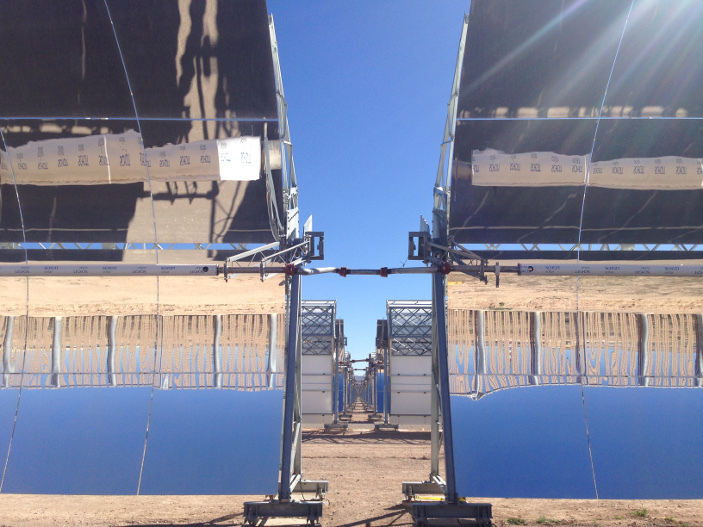 Made by Abengoa, the project Agua Prieta is in the state of Sonora, near the border with the United States. This solar plant, tendered by the Federal Electricity Commission (CFE), had the financial support of the World Bank, and is integrated in a combined cycle, forming a hybrid plant or ISCC (Integrated Solar Combined Cycle). “In Mexico there is only one solar thermal power plant in operation and it has been developed by Abengoa. And it seems, at least for now, it will continue being the only solar thermal complex in Mexico, as the National Electric Development Program 2018-2032 (Prodesen) does not include the construction of any additional solar thermal project in that period. There is no doubt solar thermal energy is relevant for a sustainable future due to its multiple technical advantages. Moreover, it is expected an approximate 50% cost drop by 2025. Will the definitive expansion of this technology come in that year? We bet on it. 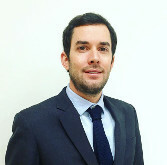 Roberto Rodríguez Puertas, Head of Strategy, Marketing and Communication at Abengoa Mexico.